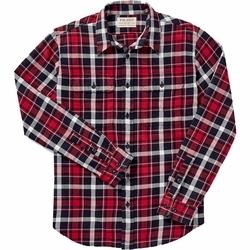 Filson Scout Shirt. A lightweight cotton twill makes Filson's Scout Shirt ideal for year-round comfort. Pleated shoulders provide a full range of motion.